Dr. Tom Patterson has lived in Memphis since age 5 and has proudly called it home since. He attended White Station School from grades 1-12; Vanderbilt University; and received his Doctor of Dental Surgery degree from the University of Tennessee College of Dentistry. Throughout his career he has striven to provide quality dentistry with compassion while in a relaxed atmosphere. 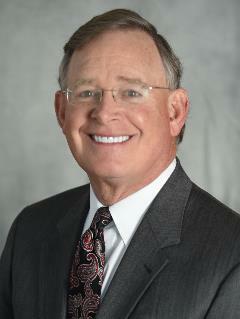 He is a Life Member of the Memphis Dental Society, TN Dental Association, and the American Dental Association. He is a past President of the MDS as well as having held all other offices and serving on numerous committees locally and at the state level. He is currently the MDS representative to the TDA Board of Trusts and is a delegate to the ADA House of Delegates. He has received the TDA Fellowship Award for Distinguished Service and has been selected as a Fellow to the American College of Dentists and to the International College of Dentists. In addition to his passion for practicing dentistry and his involvement with organized dentistry, he volunteers as an Adjunct Professor at the University of TN College of Dentistry one afternoon each week and gives a seminar series on Dental Ethics to first year dental students. Dr. Patterson’s avocations are golf, reading, yardwork, the St. Louis Cardinals, and his involvement with his church.